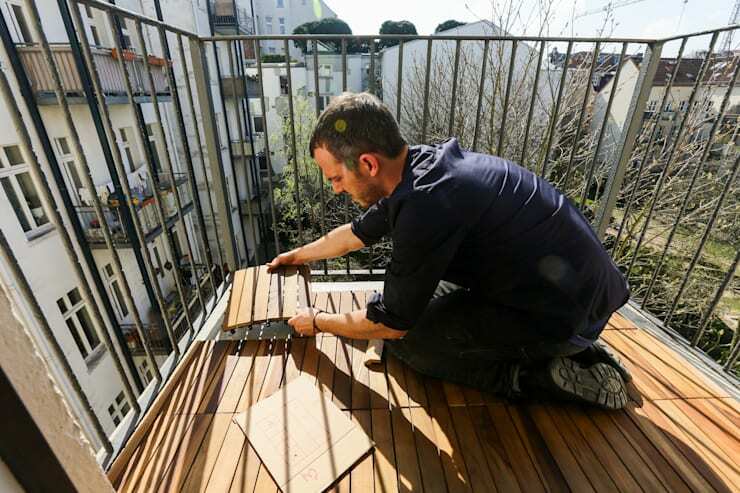 A small balcony can be made fabulous with a little bit of work. The changes don't need to be expensive or even permanent and the payoffs will be huge! 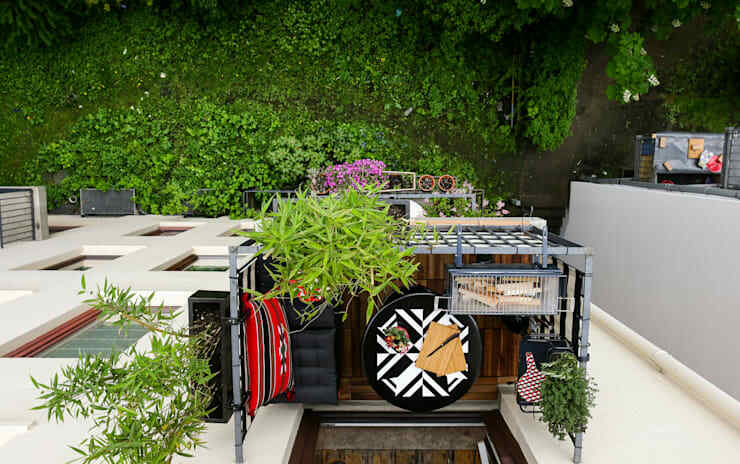 After all, a beautiful little balcony will expand the living areas of a small home and encourage one to enjoy the natural benefits of being outside. 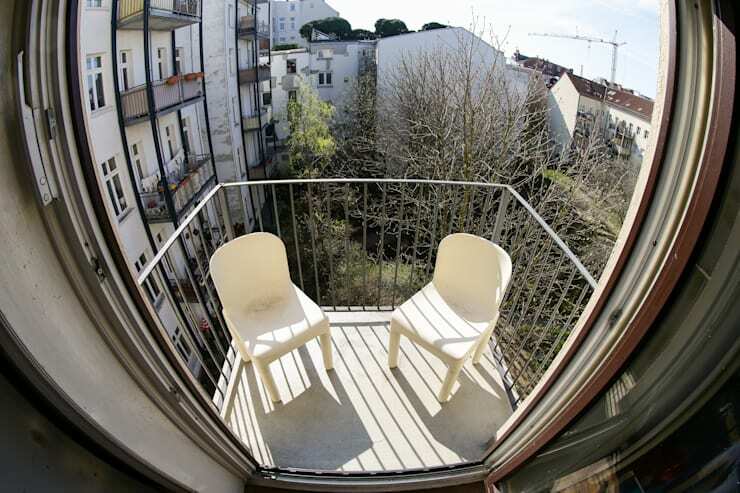 But how can you create a great balcony when you only have two square metres to play with? 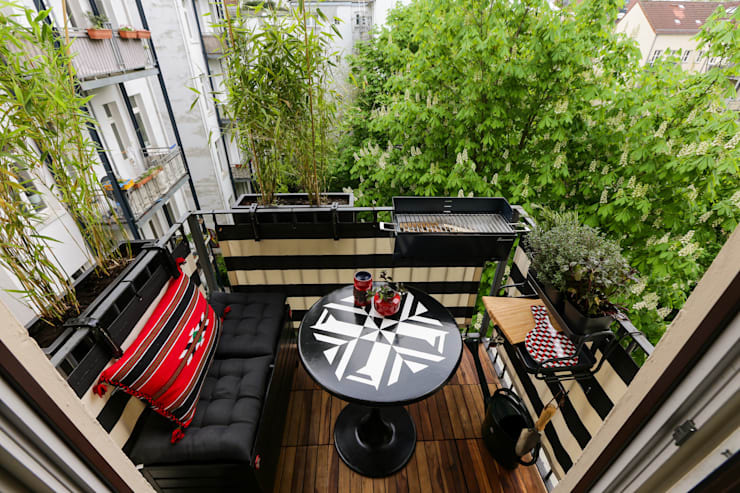 Well, today at homify we are going to explore the amazing transformation of a mini balcony in Germany. It comes to us courtesy of The Balcony Designers, a furniture and accessories store in Germany. Let's see how it's done! The small balcony had uncomfortable seating, no greenery and a total lack of colour. It was also wide open to neighbours on all sides and had a severe absence of privacy. The lack of practical accessories like a barbecue or table gave little reason for the occupants to come out here and actually use this precious little space. But the least attractive feature was the bare concrete floor. It was also the first thing that disappeared… . Natural colours, tones and accessories are always a great choice for a balcony, so it's fabulous to see the warmth of natural wood being introduced to this space. The wooden floor tiles are also soft on the feet and evoke images of resort-style living. A beginner can easily install wooden tiles with a click system. If there are ceramic tiles underneath, they can always be protected with an old rug or carpet. It's important to make sure the floor is level though. Small balcony accessories really are a must working with a space like this. Here, we even have a hanging table with several levels of storage. This offers a huge amount of functionality without intruding on the floor space at all. It also builds up the walls of the balcony to provide that little bit of extra privacy. We love it! For more small home and DIY inspiration, check out: A drab apartment becomes a cosy nest for newlyweds. 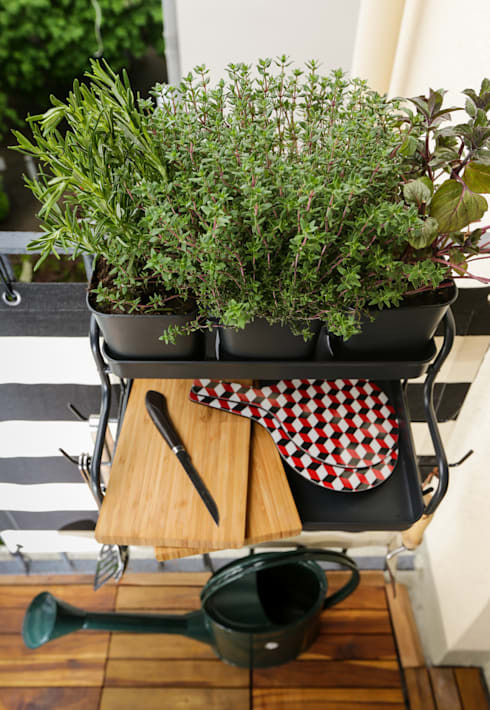 What do you think of the vibrant transformation of this mini balcony? We love to hear from our readers, so just use the comments field below!